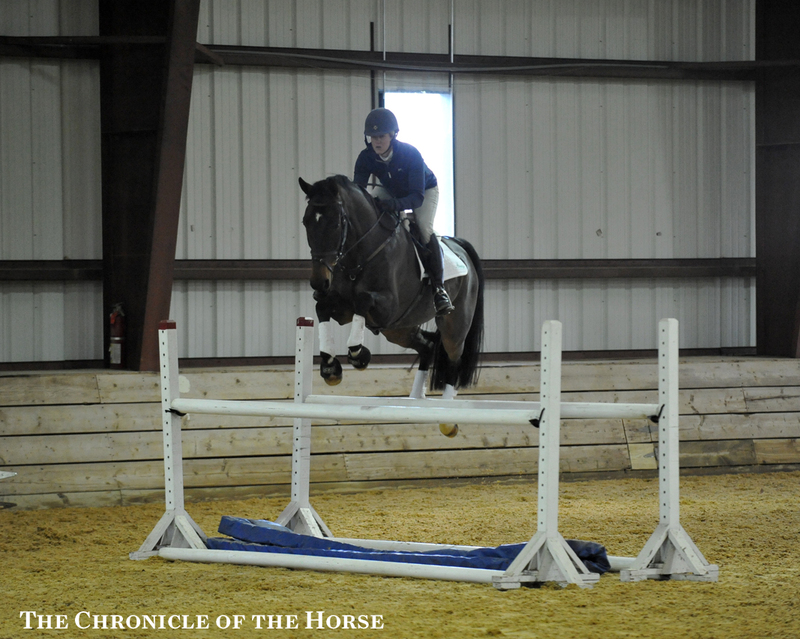 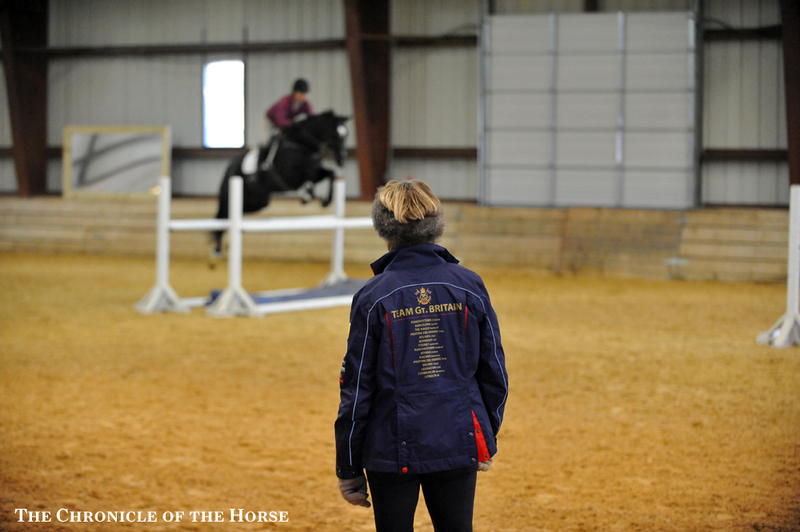 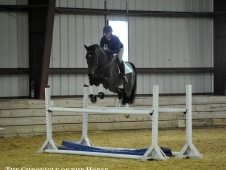 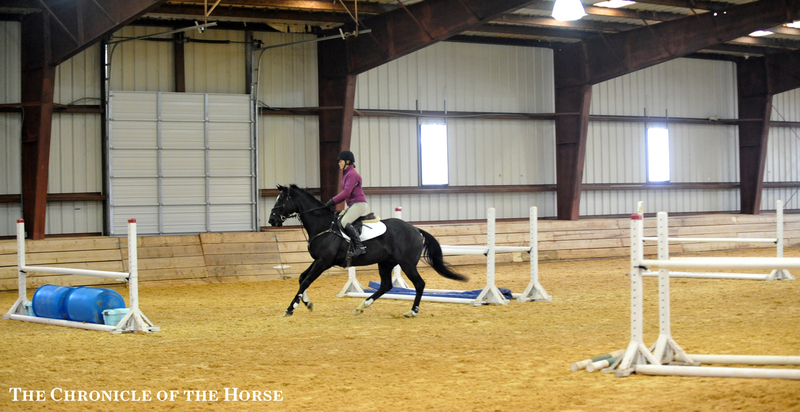 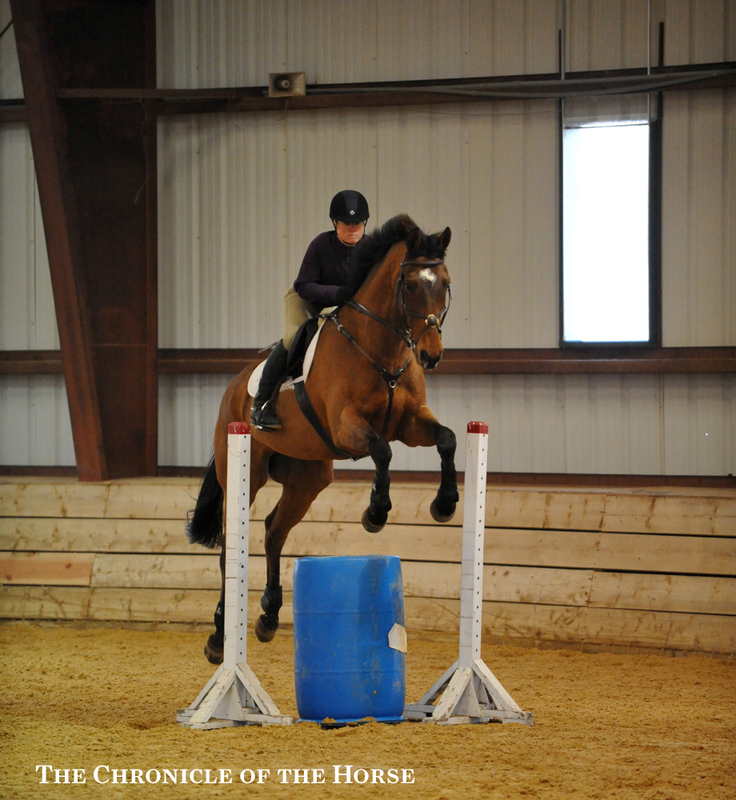 Four jumps in an indoor ring doesn’t sound like much, but Mary King was able to create several challenges for horses and riders from advanced all the way down to novice on the second day of her clinic at Morven Park, presented by Kelly Gage of Team Engaged. 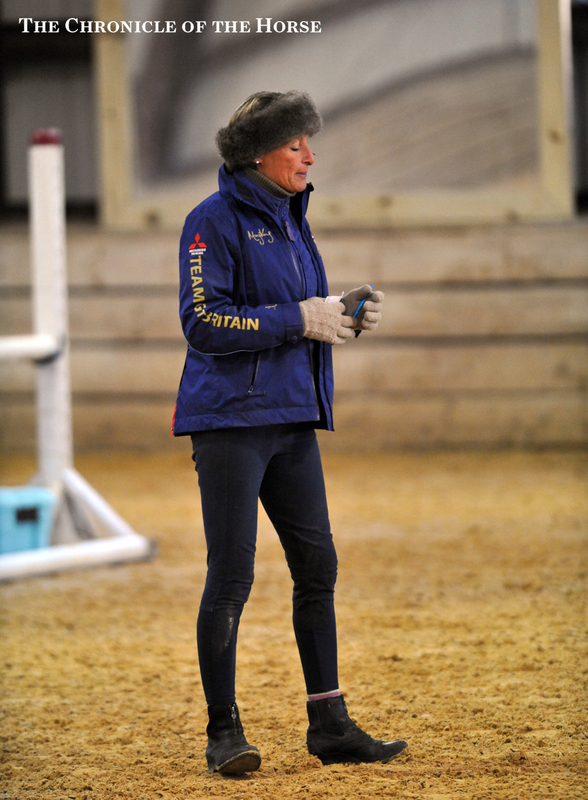 King focused on rider position in relation to cross-country riding, so she set up several angled lines and skinnies that riders might encounter on course. 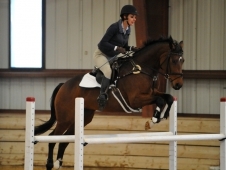 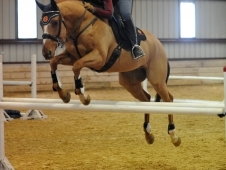 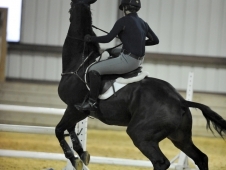 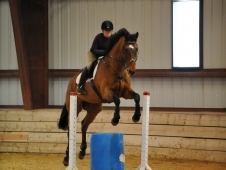 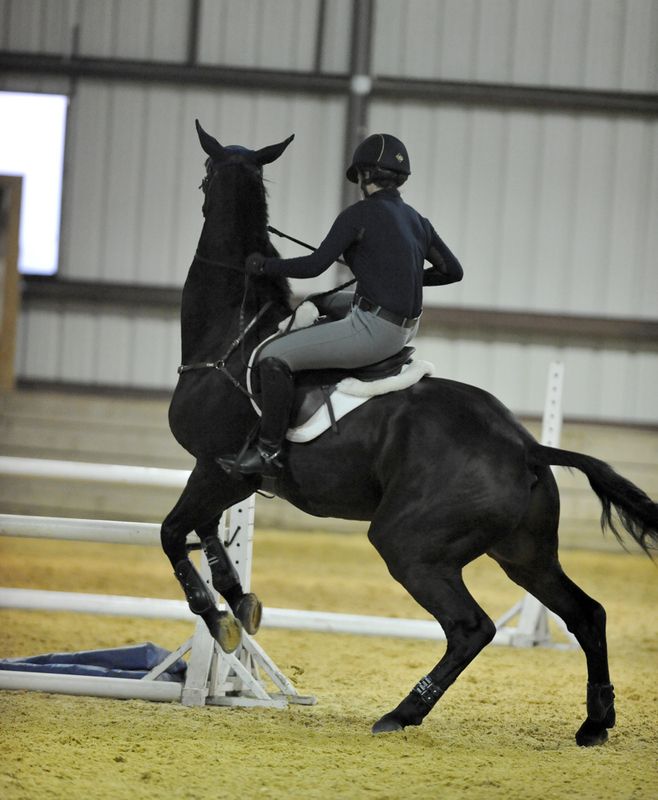 King also warned riders that she would be reminding them of their upper body position, especially over lower fences where they might be more likely to jump ahead with their shoulders. 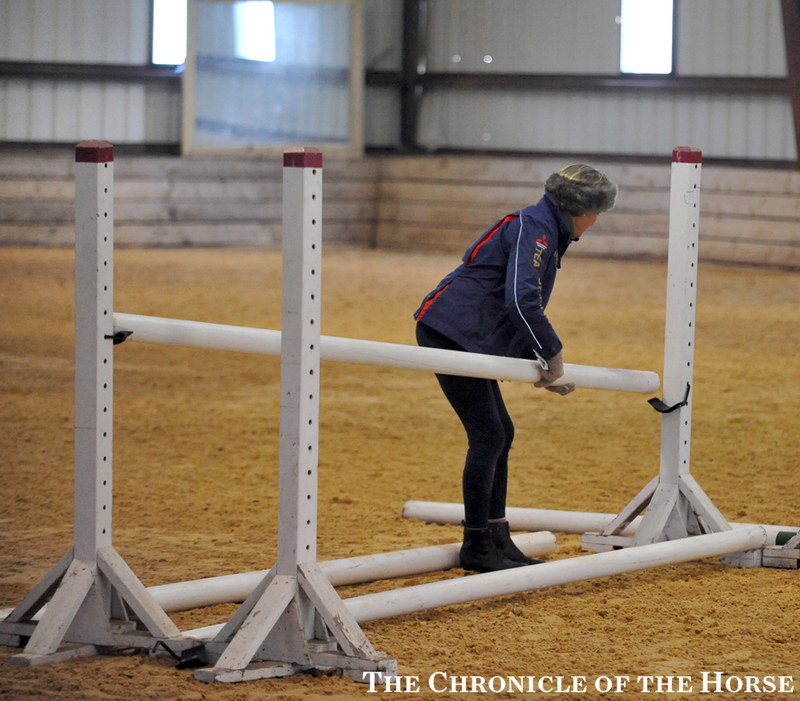 “You stickability—there’s nothing more annoying than going around a cross-country course being slightly out of balance and then making a mistake which ends up making your horse peck as he lands or something like that,” she said. 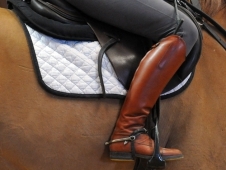 “Your stickability is very, very important to work on. 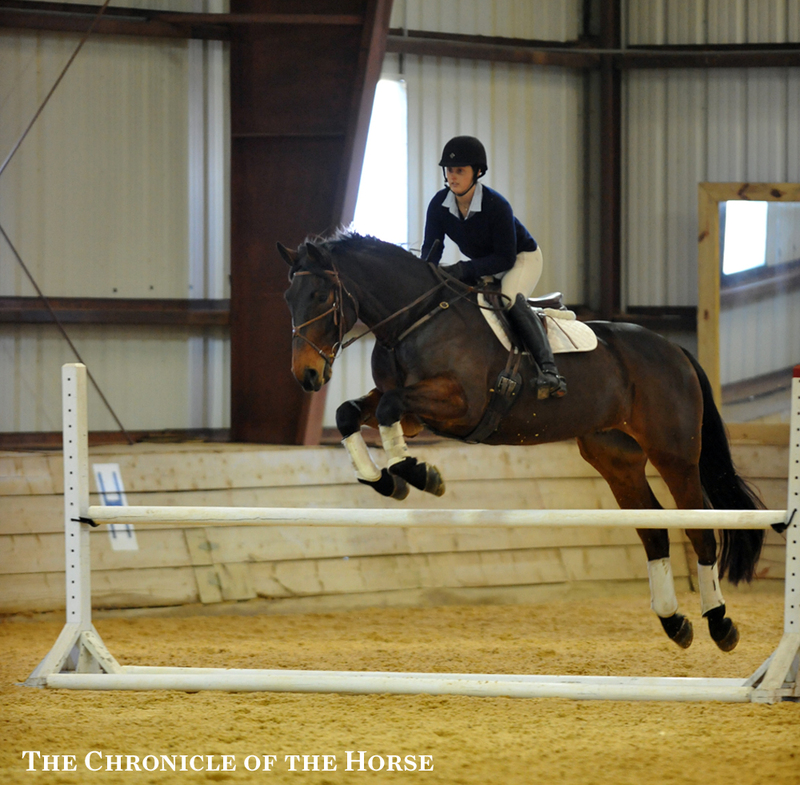 Think about riders like Andrew Nicholson—he’s known as Mr. Stickability in our country. 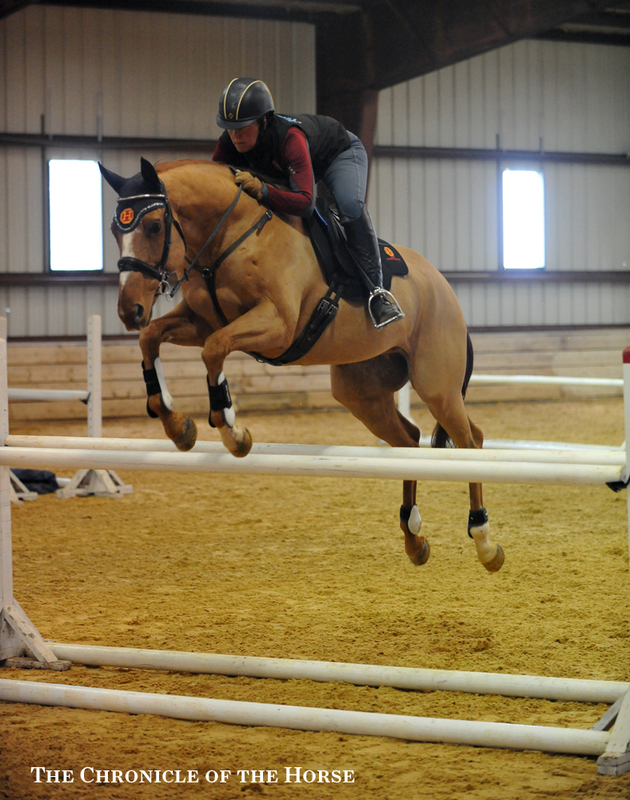 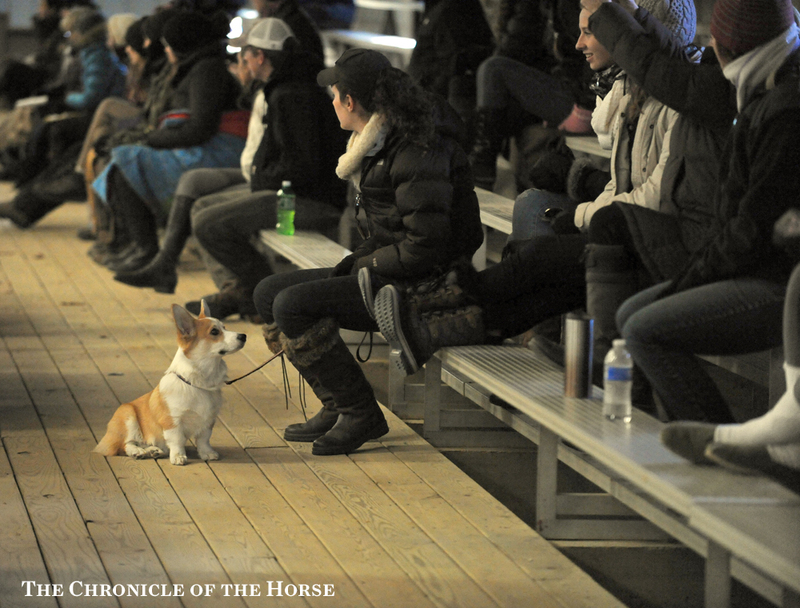 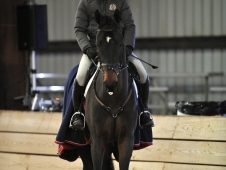 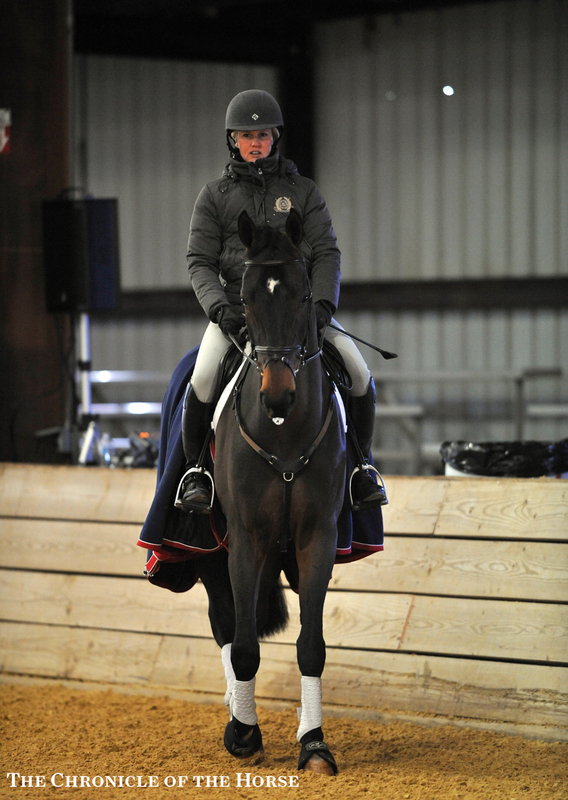 It’s incredible how he stays on—except for his fall at Badminton this spring which was a bit of a shock to everyone! 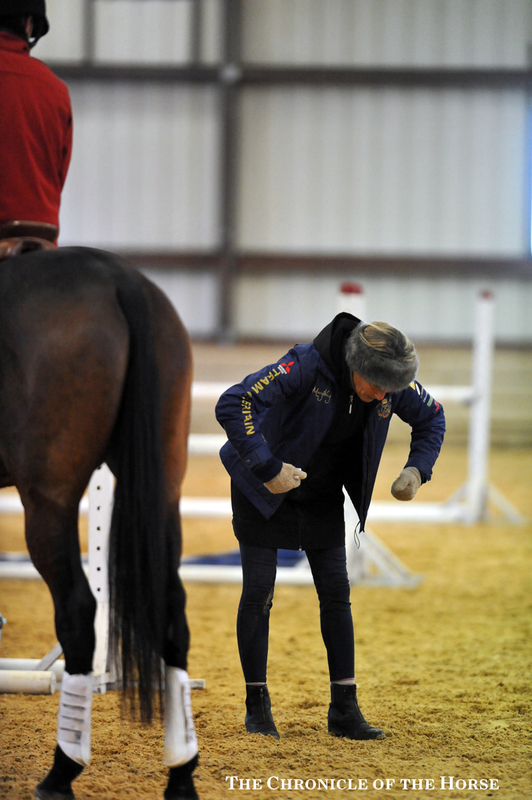 The advanced group went first and King’s advice to them in their warm up was similar throughout the day—work on sending the canter forward and back and work in smaller circles to make sure you have some adjustability and that your horse is listening to your aids. 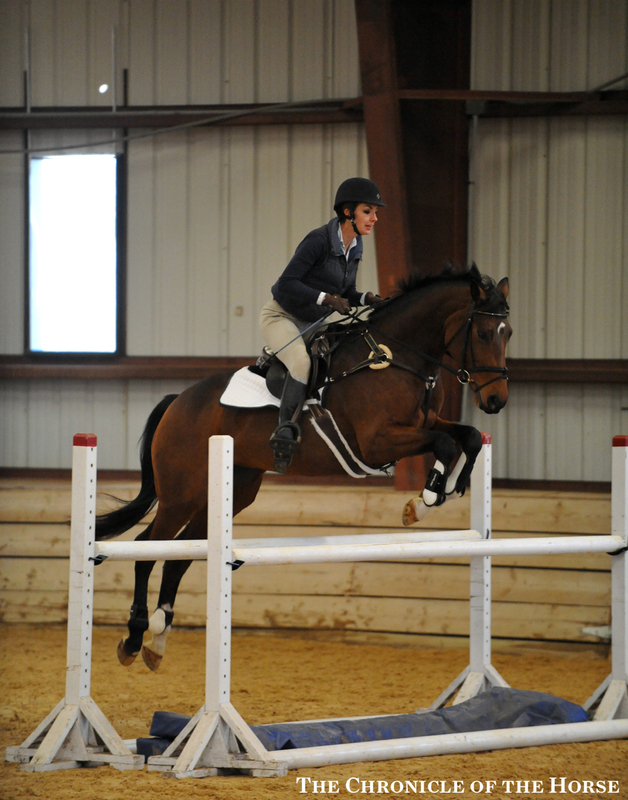 King had riders gradually warm up over a cross rail, vertical and bigger oxer before asking them to canter a 3’ vertical on an angle—a challenge because it was set as the first part of a triple combination. 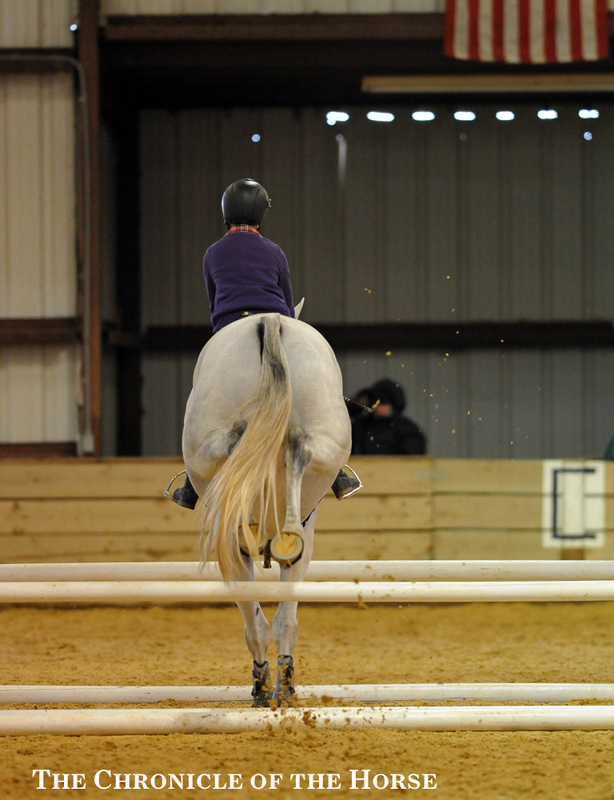 Once they successfully navigated a figure 8 exercise over the verticals at both ends of the combination, they angled the first one, then curved a line of four strides around the middle element of the triple to jump the last element on an angle. 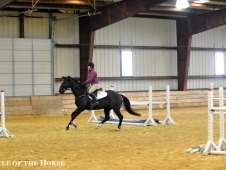 If that went well, they came around to jump the triple, with one stride between each element, straight through. 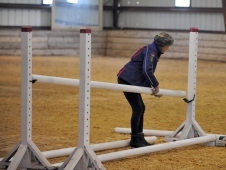 For the lower level groups, King opened up the triple to two strides between each element, making the bending line around the middle element about six strides. 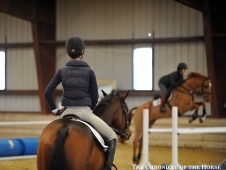 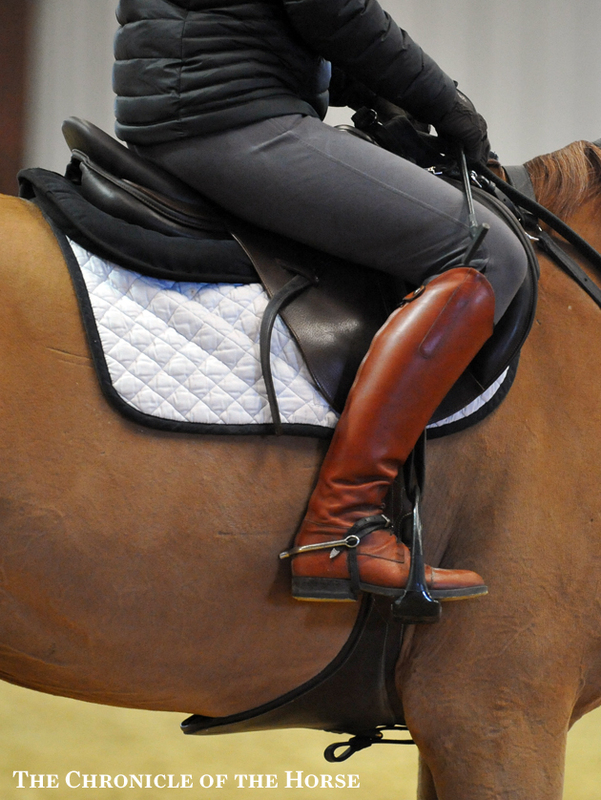 She advised riders in the young horse group to think of riding the curve like a train track to keep their horse between their aids, and to make sure they weren’t trying to steer with just the inside rein, which caused a few runouts. 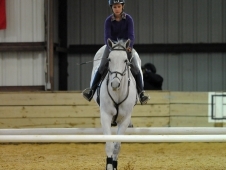 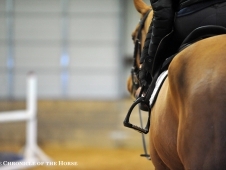 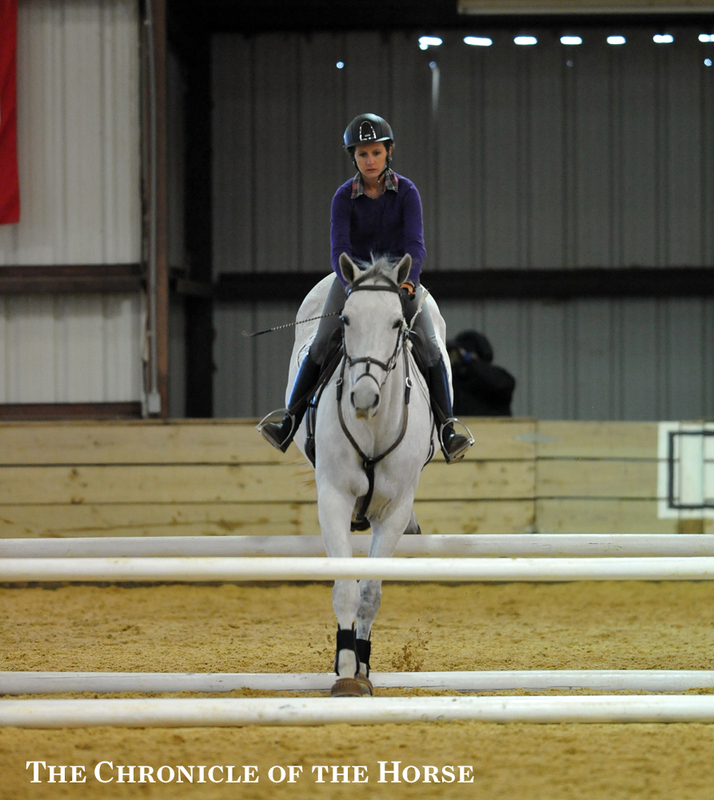 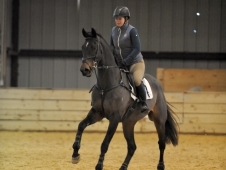 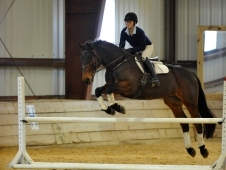 Her most challenging exercise came when she set up a canter bounce on the centerline and asked riders to either turn right to a skinny barrel in four to five strides (which was introduced as a single fence first using wings and gradually taking them away) depending on the level of the group, or turn left to a right-handed corner in four or five strides. 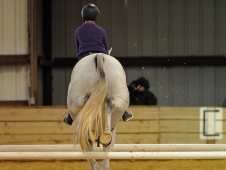 The purpose of the exercise was to practice steering and effectiveness, which went better for the more advanced groups. 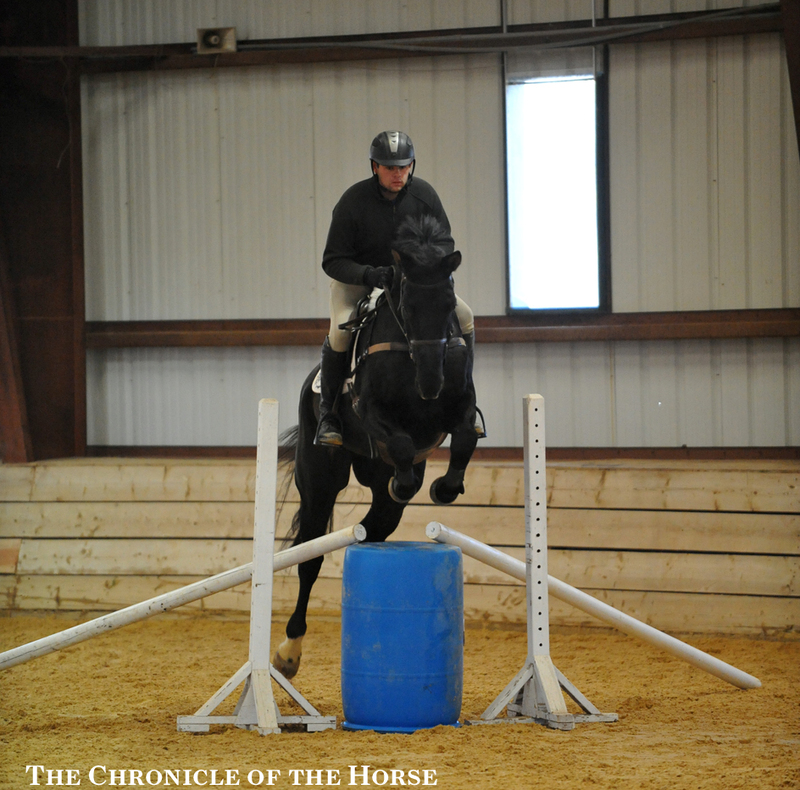 Several of the greener horses were apprehensive about the skinny barrel, but King broke it down if needed to get confidence back. 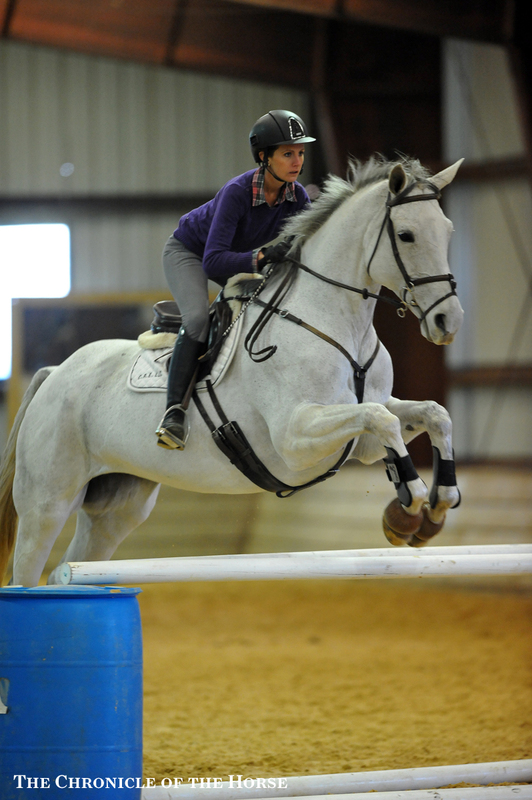 She noted that she always uses standards on both sides of an upright skinny barrel because she doesn’t want to invite runouts. 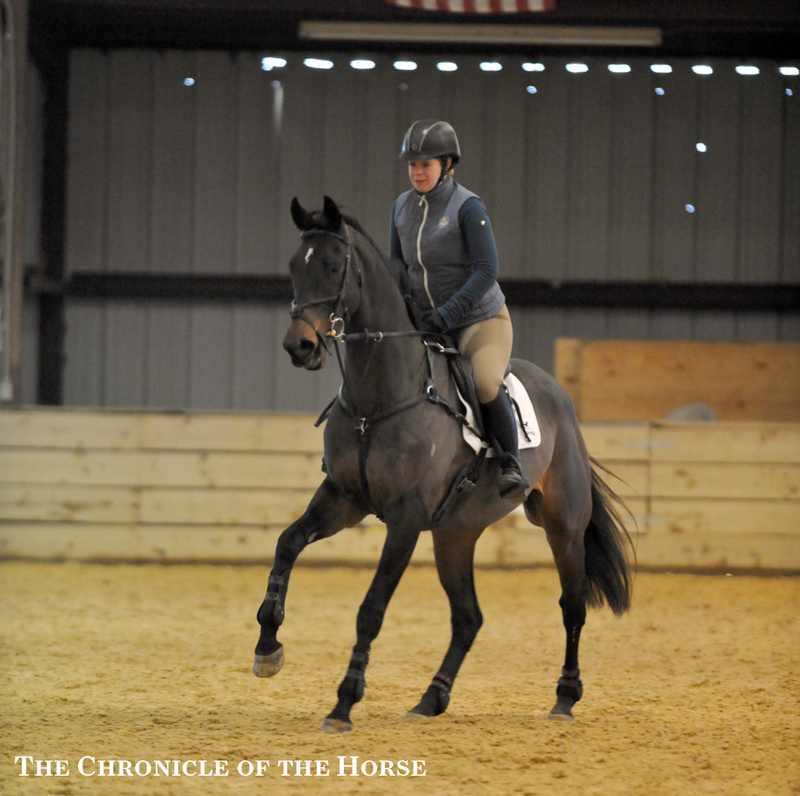 King upped the ante by having riders turn the exercise around and do the barrel or corner to the bounce, which meant a more collected canter as opposed to the more open stride they needed going the other direction. 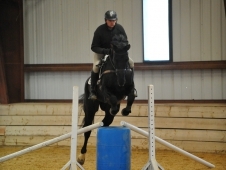 King pointed out the exercise was helpful in simulating the approach to a combination like a coffin or a narrow fence after a long gallop on cross-county. 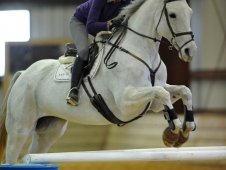 - A few horses in both the advanced group and the young horse group came to grief when they ran out at angled jumps and their riders didn’t have whips. 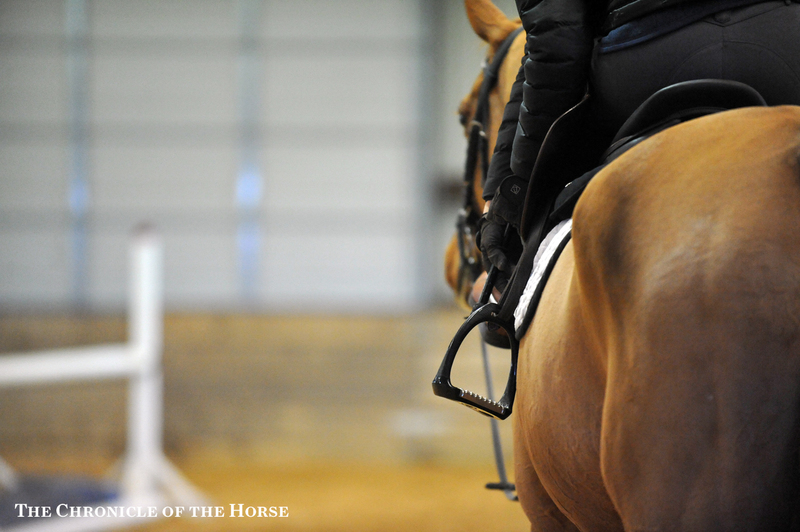 She suggested tapping the whip against the shoulder when introducing angles or skinnies to a green horse as a reminder to keep straight. - Click here for more from Day 1.